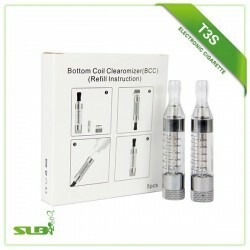 Mega BCC Clear Cartomizer is designed for changeable system. A Innovative tank that uses a wicking coil placed at the bottom of the tank. These iSmoka tanks will hold approximately 3.5ml of eLiquid and includes two extra head replacements. Mounted with a 2.2 ohm head, iSmoka tank replacement heads are 1.8 ohms and 2.5 ohms (all +/- .2 ohm). 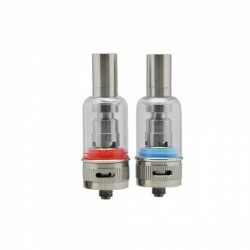 A Innovative tank that uses a wicking coil placed at the bottom of the tank. These iSmoka tanks will hold approximately 3.5ml of E-Liquid and includes two extra head replacements. 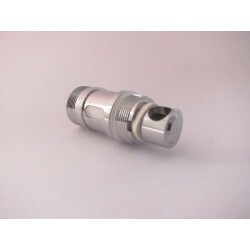 Mounted with a 2.2 ohm head, iSmoka tank replacement heads are 1.8 ohms and 2.5 ohms (all +/- .2 ohm). This is great for any mod & eGo style batteriesand voltage placement <4.5 volts and has 510 connector threading. 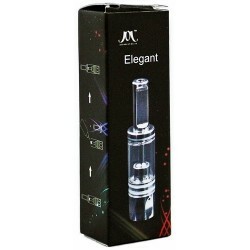 Mega BCC Clear Cartomizer as a new kind of cartomizer, is favored by e-cigarette lovers. Considering to convenience and fashion, Mega BCC Clear Cartomizer is designed for changeable system. Users can replace or clean Mega BCC cartomizer head by themselves. In addition, it can be assembled directly with eGo series, eVic, MOD batteries and so on. 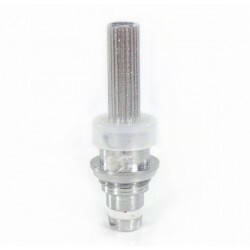 Tocc Resistance for T3s or MT3s claromizer.Resistance value: 2.2 ohm. iSmoka Bcc Coil.Resistance: 2.2 ohm.These iSmoka coil head atomizers are easy to replace once your original attached one requires it to be changed. 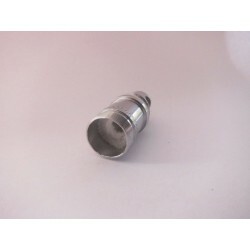 Mr.Bald 0.2ohm replacement coil.Replacement coil 0,2 ohm for Mr.Bald clearomizer. Mr.Bald 0.5ohm replacement coil.Replacement coil 0,5 ohm for Mr.Bald clearomizer.